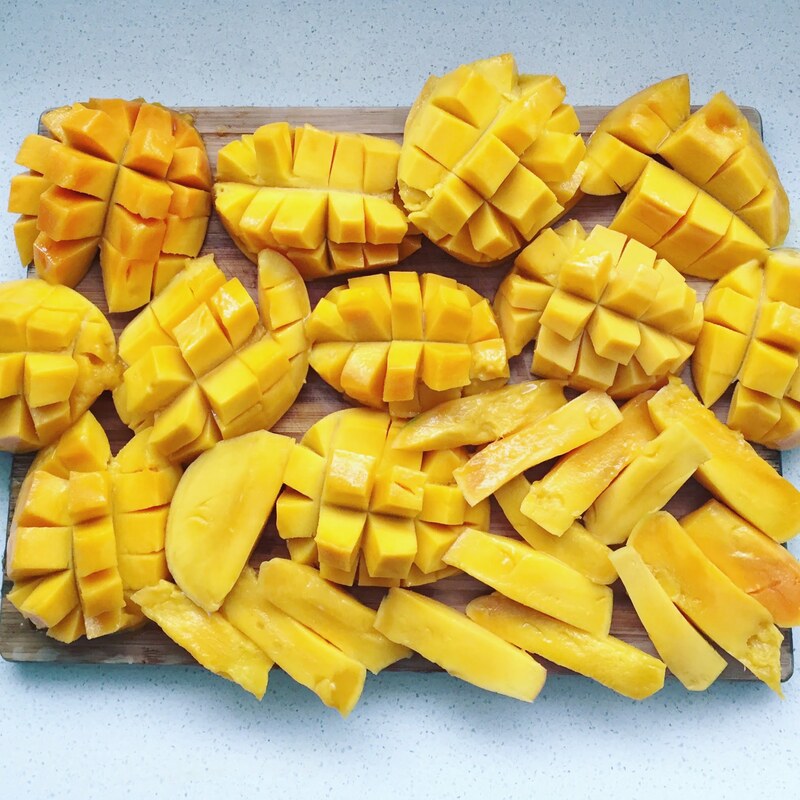 Layer 1 – Remove the mango flesh from skin & place 1/2 into high speed blender with pineapple. Blend until smooth. Pour into glass. 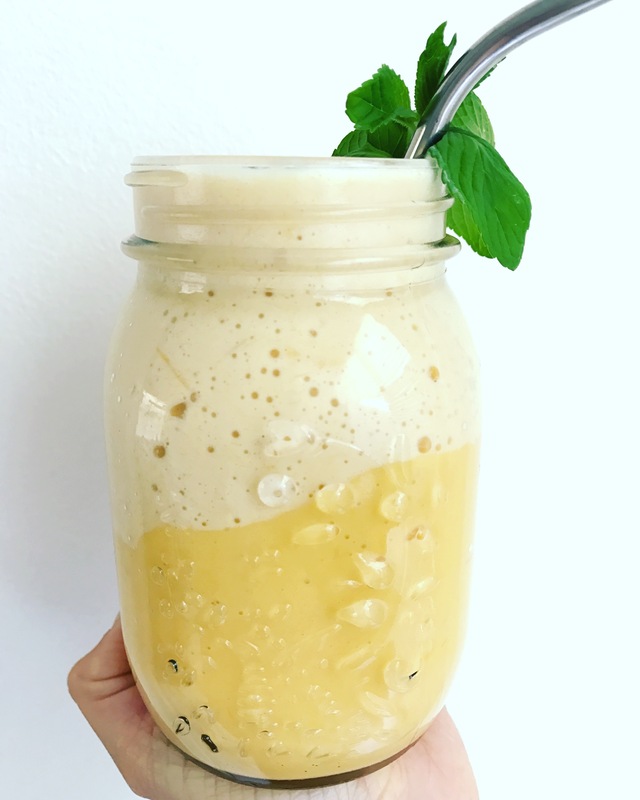 Layer 2 – Place remainder of mango into blender with coconut, banana & yoghurt & blend until combined. Pour into glass on top of first mango layer.